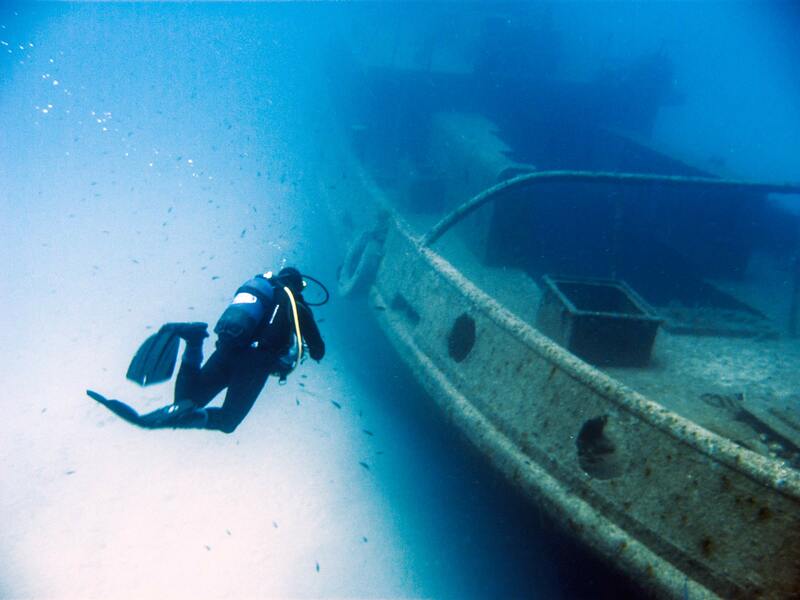 Rozi is one of the two wrecks in Cirkewwa on the northwest side of Malta, and one of the most popular dive sites in the Maltese islands. 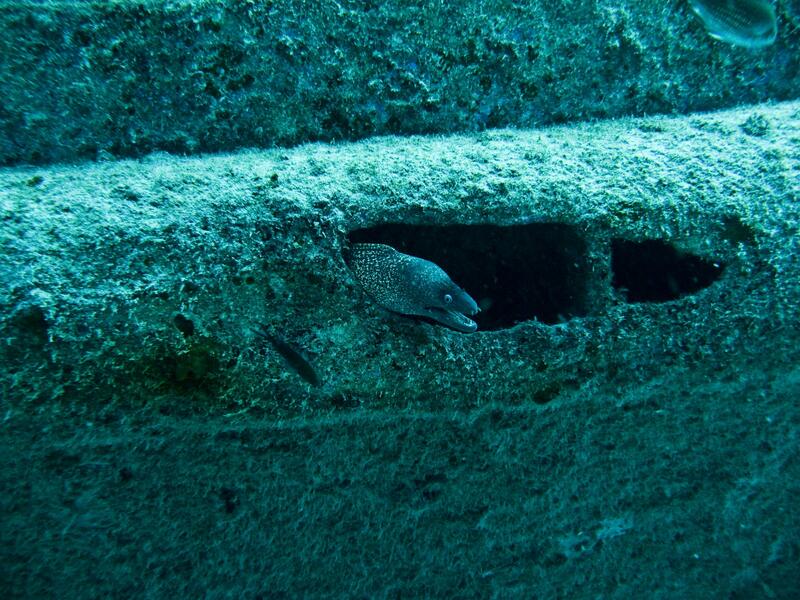 Rozi was a former tugboat that operated in Grand Harbour of Valletta. 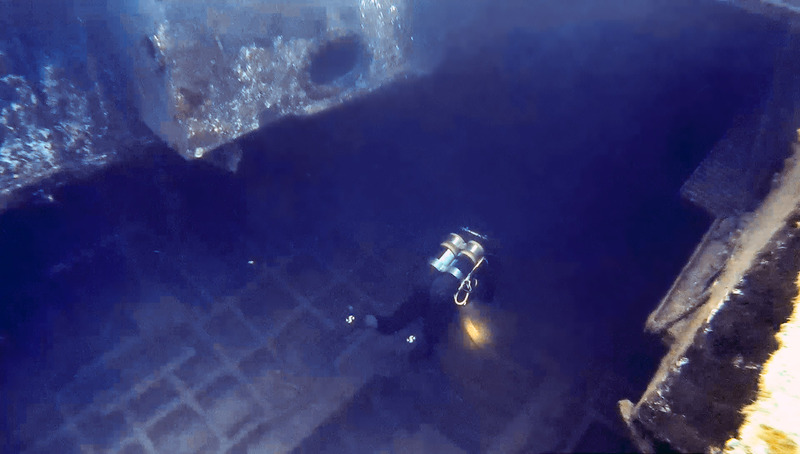 She was scuttled in September 1992 as an underwater tourist attraction for submarine tours, and also became an artificial reef for scuba divers. 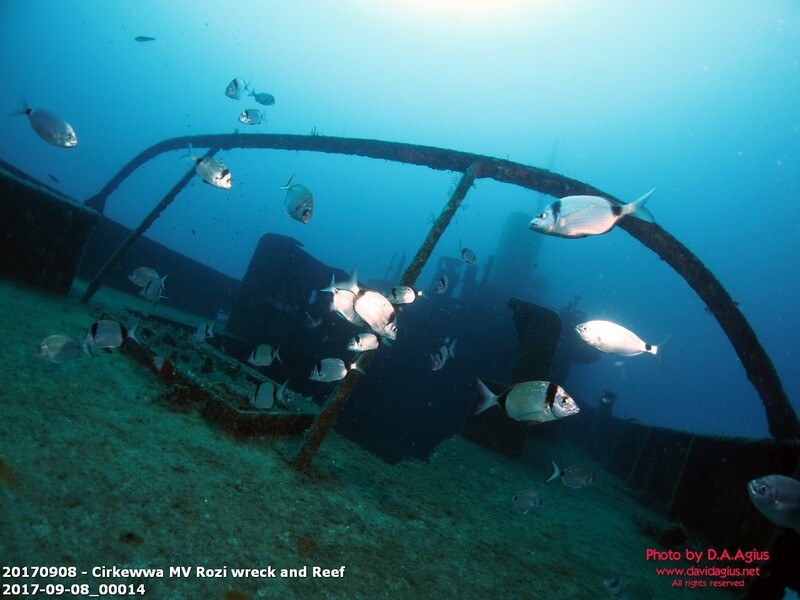 Tugboat Rozi wreck is easily dived from the shore, and is located close to Patrol Boat P29 wreck. 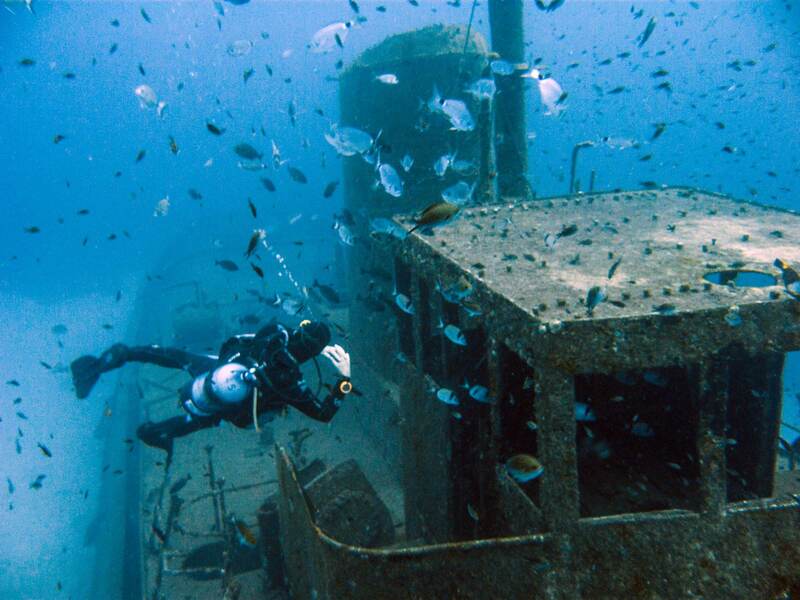 Rozi wreck is around 35 m long and lies upright on a sandy bottom, with her mast starting at 20 m and most of the wreck between 30 and 34 m of water. She is about 130 m from the nearest entry point, her stern close to the reef and bows towards the open sea. 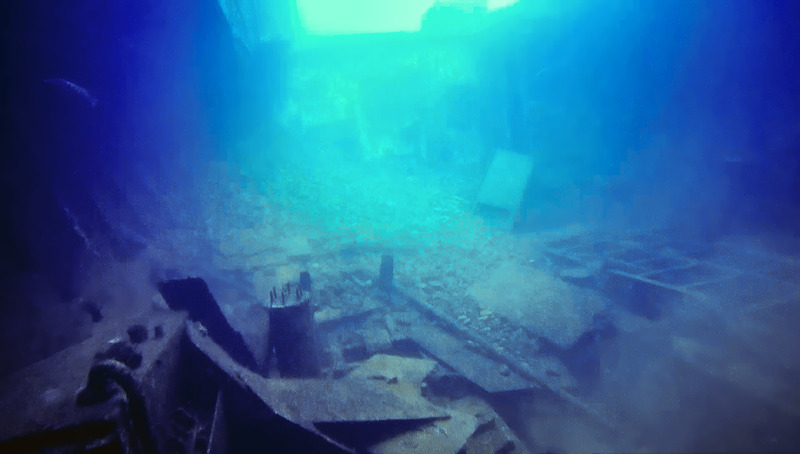 The wreck is still intact, except for its engine and the propeller which were removed before scuttling. 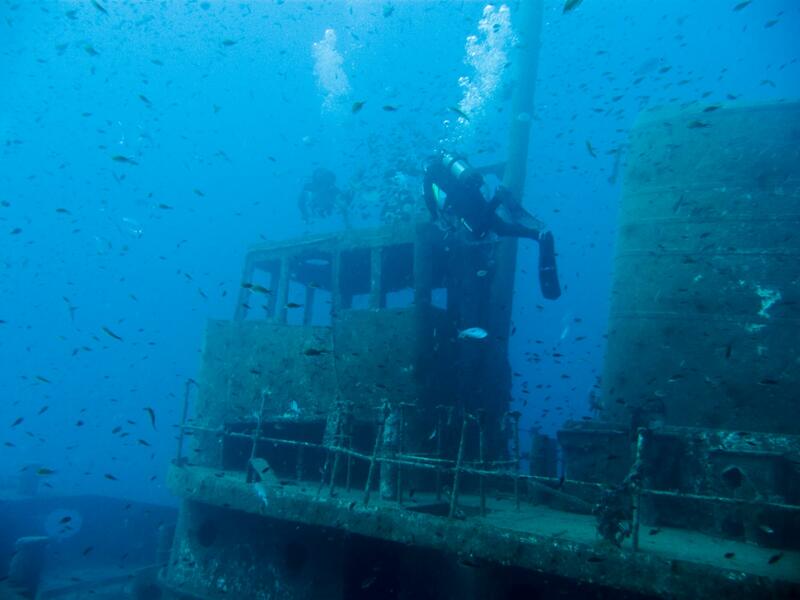 Rozi offers an outstanding wreck dive with various penetration possibilities, and diving Rozi can be combined with a visit to nearby Cirkewwa Arch. 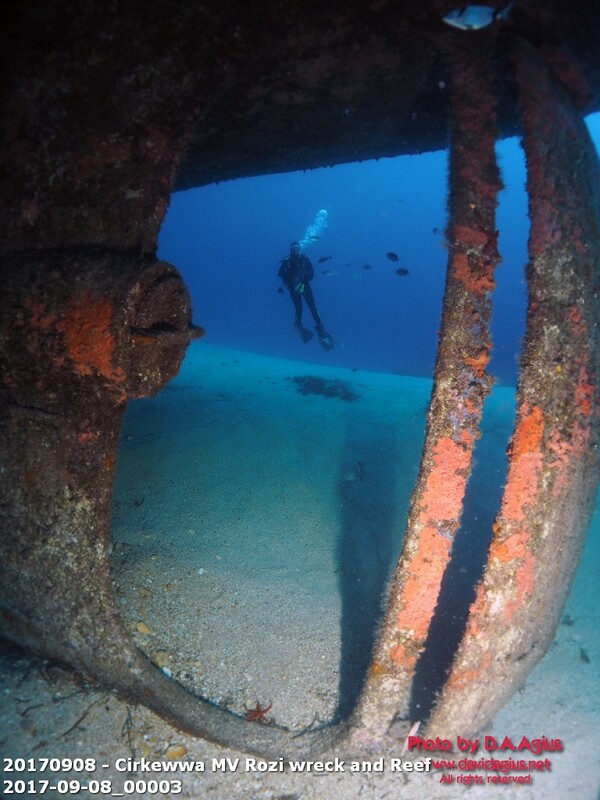 There is an underwater geocache on Rozi wreck: Malta Dive Sites - MV Rozi. 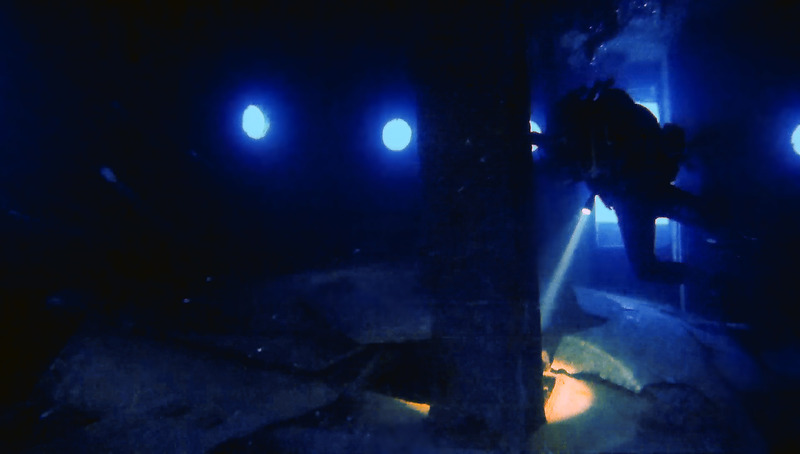 Another scuba diving cache is on Tug 2 wreck in Sliema. MV Rozi was built in Bristol, England by Charles Hill & Sons Ltd and launched in 1958. The steel tug boat was about 33 m in length with a beam of 8.5 m. She worked in Liverpool first for Johnston-Warren Line Ltd, originally named MV Rossmore, and from 1969 onward for Rea Towing Company, renamed MV Rossgarth. In 1972 she was sold to Mifsud Brothers Ltd and sailed from Liverpool to Malta, where the tug operated for Malta Ship Towage Ltd. In 1981 she was sold to Tug Malta and renamed MV Rozi. Tugboat Rozi operated in Grand Harbour of Valletta for two decades until 1992, when she was decommissioned and sold to Captain Morgan Cruises. 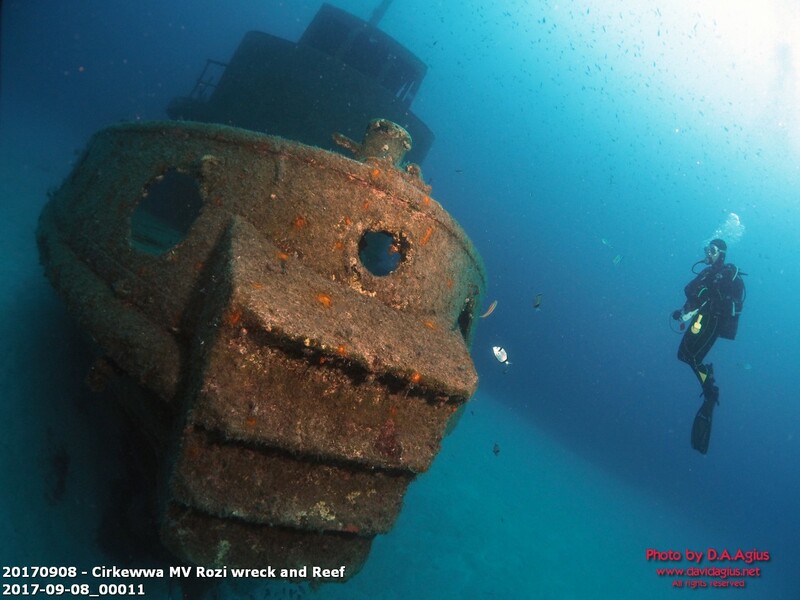 Rozi was scuttled off Cirkewwa on 10th September 1992 as an attraction for tourist submarine trips around the area, which no longer operate. 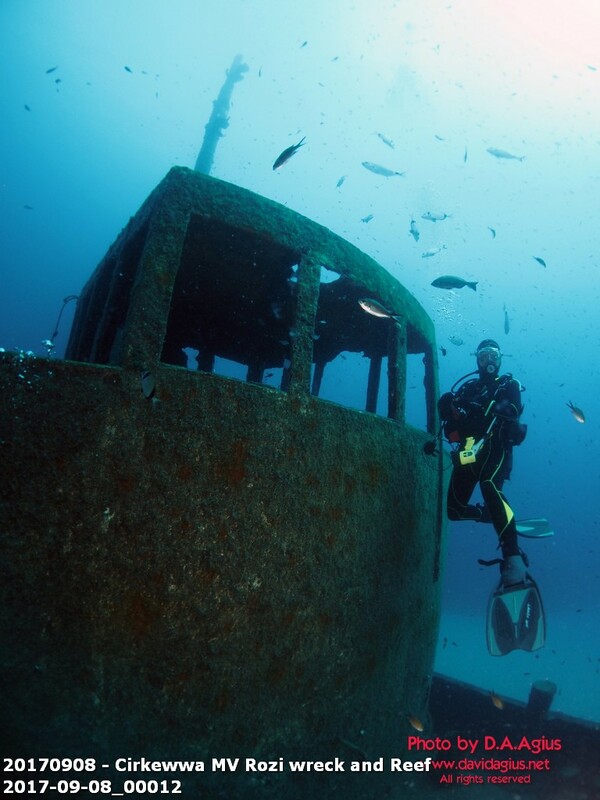 Rozi is now one of the most dived wrecks in Malta. Easy and relax dive with lots of fish! 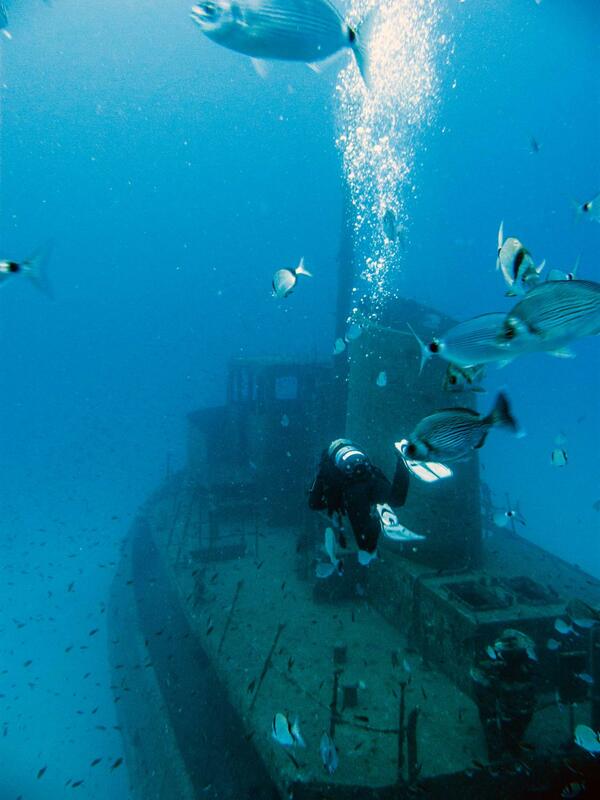 ★★★★☆ A lot of sea life, as divers commonly feed the fish on the wreck.